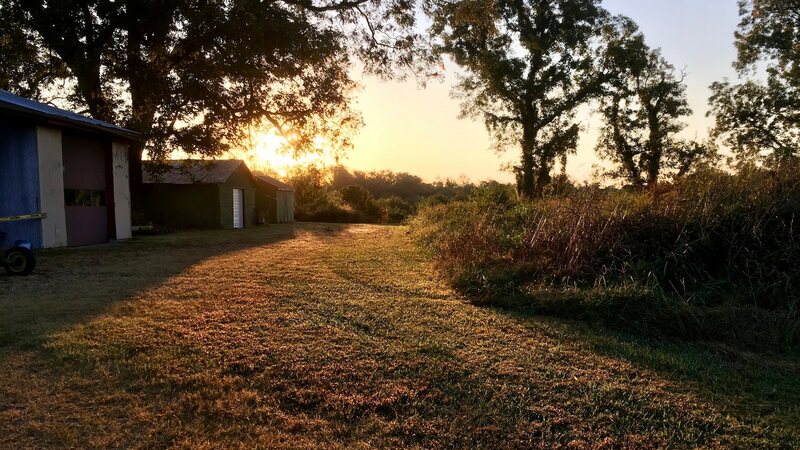 There is a hidden island sanctuary just 20 miles from the city of Richmond, Virginia teeming with nature. Presquile, a National Wildlife Refuge, lies in the middle of the James River. The island habitat exists without roads or private development. The wildlife refuge covers all of Presque Isle. The Fish and Wildlife Service operates the wildlife refuge. It’s home to some endangered species as well as a variety of migratory birds including roosting Bald Eagles. Established in 1953, Presquile is accessible only with a permit by boat. It’s an enjoyable ferry ride during the annual Field Day. Alternatively, it’s a short paddle by kayak or canoe. The island is one of the Richmond area’s great outdoor gems. It remains relatively unknown due to the difficulty accessing it. The refuge is east of Richmond, making it only about 35 miles from Williamsburg. It’s a short trip to the great outdoors from much of Central Virginia. The unspoiled landscape creates an opportunity for fantastic outdoor adventure activities. Hiking, canoeing, and kayaking are all great ways to take in the refuge. There’s only barely a distant hum of city life and industry even though heavy industry surrounds the island from the banks of the James. The habitat covers 1,329 acres of protected land. You’ll find Tidal Swamp Forest and Mixed Mesic Forest offering thick shade and plenty of lingering webbed branches to get caught in. Much of the wildlife refuge is comprised of Freshwater Marsh which limits access by grassy trail. This large undeveloped space means you may run into some wild bits of nature. This, is a wheel bug. Wildlife refuges are full of terrors! They’re quite timid and tend to hide in larger foliage, hunting other insects. 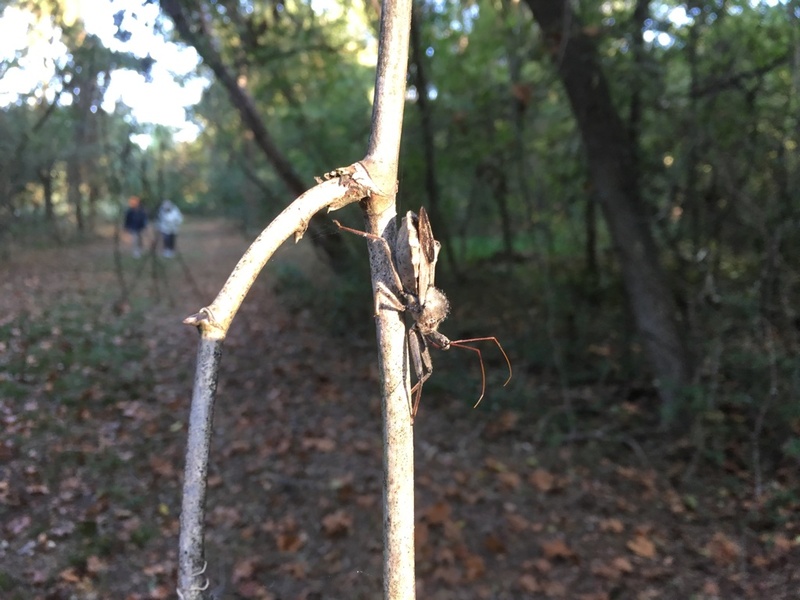 If you do manage to bring the wrath of the Wheel Bug, you can look forward to a bite wound more painful than a wasp. It may last anywhere from 2 weeks to 6 months! If you’re lucky, you’ll spot the infamous James River Sturgeon swimming along, prized for its massive length. You might hear the Prothonotary Warbler singing its tune. You’ll likely spot the common American Black Duck paddling around the calm waters. Monarch Butterflies glide casually from petal to petal across the island’s dense flowers. America’s icon itself, the Bald Eagle, will be watching you from above protecting its nest. The Fish and Wildlife Service plays host to a “field day” semi-annually on Presquile. FWS typically runs this and other Presquile events throughout the month of March and September. No public facilities are on the island, but FWS does provide access to modern facilities with running water during their events. Pack light as you will pack out everything you bring to the island. The event allows visitors to explore the miles of grass trails on the island. Take a moment with a pair of binoculars to spot the variety of bird species. Be intrigued by the biodiversity on this small isle of Presque. You’re only a short distance from urban city life yet you’ll find yourself on this beautiful piece of nature. FWS also offer educational opportunities on Presquile through the James River Association. Presquile sits amid the human history laden James River, not far from where Richmond was founded. For the creatures that were here long before us, it remains a wildlife refuge.